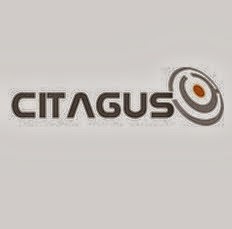 Citagus Software Off Campus Drive Freshers – Bangalore, Chennai. Citagus Software Off Campus Drive Freshers – Bangalore, Chennai. BE, BTech and MCA Freshers 2013 pass out batch can participate in this recruitment drive which is going to happen in Bangalore and Chennai Locations. Last date to apply online is 27th February 2014 and the walkin date is on 4th March 2014. This drive is through eLitmus, so good PH score is required to attend. Company Name Citagus Software Pvt. Ltd.
Company spends considerable effort in training new employees through a direct mentoring by senior folks. Candidates willing to commit for atleast a period of 24 months tenure need only apply. There will be a financial agreement. An entry level position where training would be given on live projects and would be exposed to multiple roles which involve client interaction and even assisting managers and leads to efficiently discharge their duties.